This year's Vale of Glamorgan Festival, which runs from 9 to 16 May 2018 is the 50th festival, a milestone indeed. The festival was founded by composer John Metcalf and is unique in the UK, being devoted entirely to the music of living composers. This year will see performances of works by 21 composers from across the world. Particular themes include an exploration of the music of the Danish composer Bent Sørensen who celebrates his 60th birthday this year, the European premiere of a major new work by the Chinese composer Qigang Chen performed by BBC National Orchestra and Chorus of Wales, and world and UK premieres of works by four Welsh composers: John Metcalf, Helen Woods, Matthew Jones and David Roche. Works by Bent Sørensen will be featured across the festival, beginning with his 2013 Trumpet Concerto performed by Philippe Schartz and BBC National Orchestra of Wales at BBC Hoddinott Hall on Thursday 10 May at 7.30pm, and the same concert will include the the European premiere of Qigang Chen's Jiang Tcheng Tse, the result of a pan global joint commission by the China National Centre for the Performing Arts, Sydney Symphony Orchestra, BBC National Orchestra and Chorus of Wales and Vale of Glamorgan Festival Written for solo voice (soloist Meng Meng), chorus and orchestra, the work is based on the texts of 11th century Chinese poet Su Shi. 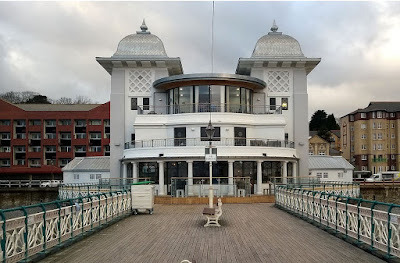 The festival takes place at venues across the Vale of Glamorgan and Cardiff, each chosen for their setting and atmosphere, including Penarth Pier Pavilion, Ewenny Priory, BBC Hoddinott Hall and St David’s Hall. Full details from the Vale of Glamorgan festival website.